Jeff Hawkins is an engineer, business man, neuroscientist and inventor who spent his life in the pursuit of a grand unified theory about how our brain works. He has a noteworthy list of accomplishments behind him, and is very successful in his quest. I first heard about him when I watched his ted talk, and from there my curiosity took over, and I started looking more into the research he is conducting with his company numenta. I will try to summarize the basics of his theories in this post. If you want to learn more, a good place to start is to read his book "On intelligence". So what is HTM? HTM is an acronym for Hierarchical Temporal Memory and basically it is a list of 3 important aspects of the algorithm in the theory. The most prominent contributor to intelligence in our brain is the "neocortex". In contrast to the rest of the brain which has evolved longer and therefore is much more specialized, the relatively new neocortex has a homogenous structure that is re-used throughout. 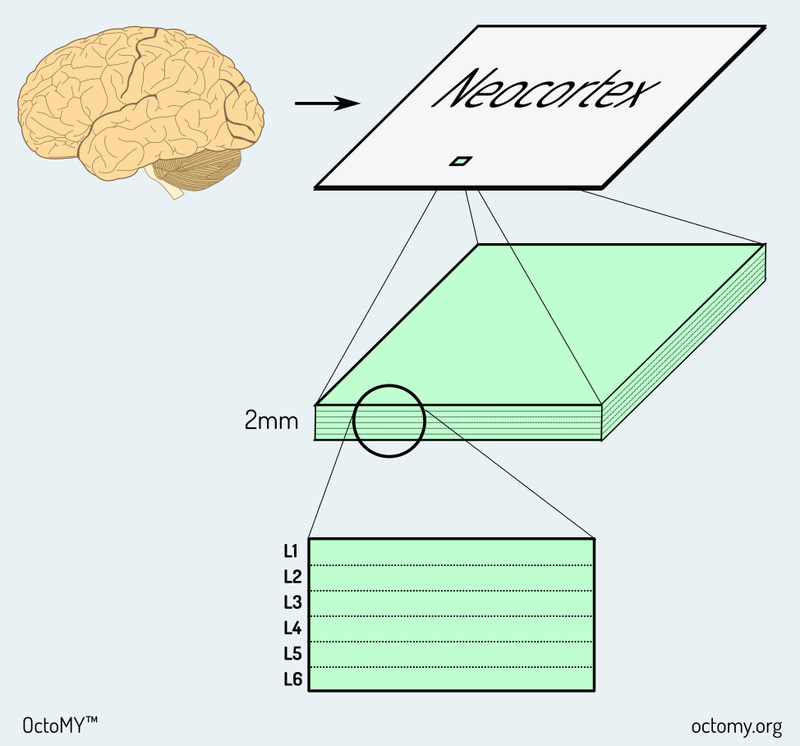 This structure is basically that the cortex is a 2mm sheet of neurons about the size of a large napkin, crumpled to fit inside our cranium. The sheet is divided into 6 layers of neurons that are connected in a particular way. 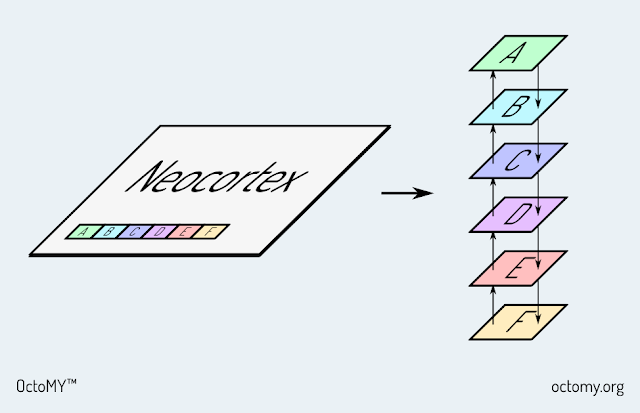 Small patches of the cortex represent stages in a hierarchy, and the connections between the neurons is what dictate the boundaries of each patch. Signals pass from lower stages up to higher stages and back down. The lowest stages are connected to our senses such as eyes, ears and skin via mechanisms of the old brain. The signals passed from here consists of patterns of impulses that make their way up the stages, and it is temporal sequences of these patterns that are learned in each stage. And perhaps the most important part of the theory is the following; Each stage will try to remember signals coming from lower stages and later predict those signals once they have been remembered. Only the signals that have not been predicted or "learned" will pass to the next stage unchanged, so by every stage the impulses have been refined and condensed into more abstract and high-level information. When a stage is seeing a new signal that it cannot predict, it will be sent up to the next stage until one stage recognizes it. If no stage recognize the input, it is forwarded to the hippo-campus which sits at the logical top of the hierarchy. The hippo-campus will keep the unknown information around for a some time until it is no longer useful. Hopefully, the stages below will now have managed to learn it, and if they have not, it will simply be discarded. 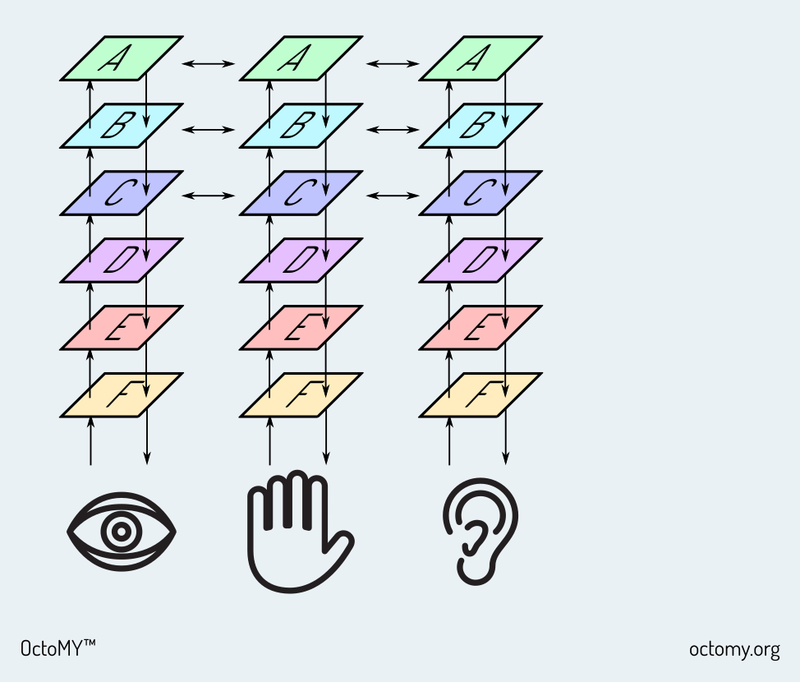 Beyond this introductory description of HTM, there are many important details that really describe well how this relatively simple algorithm actually explains our intelligence and sense of being completely. I can warmly recommend to read the book "On intelligence". 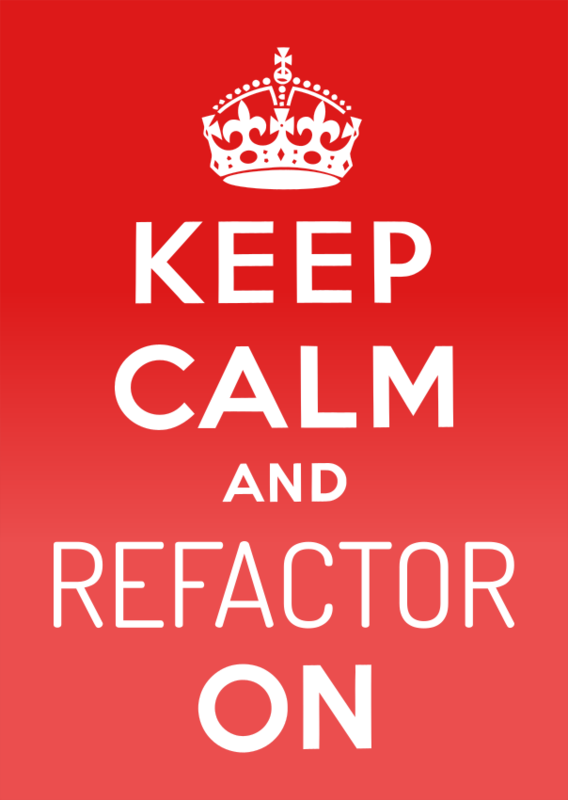 We are working on a large refactoring of the OctoMY™ code base at the moment. It has taken more effort than anticipated. Hopefully it will resolve itself in a short time.